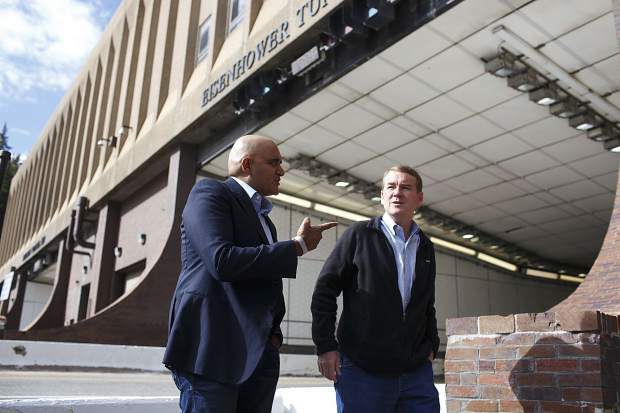 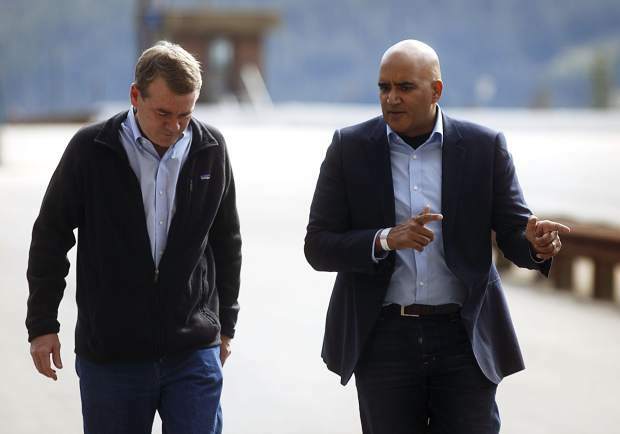 Sen. Michael Bennet, right, tours the Eisenhower Tunnel with CDOT Executive Director Shailen Bhatt, left, Wednesday, Aug. 23, on Loveland Pass, in part of the senator's visit to Colorado communities about maintaining the state's infrastructure. 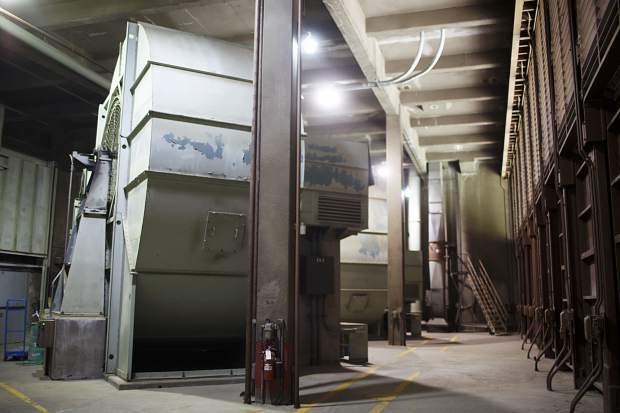 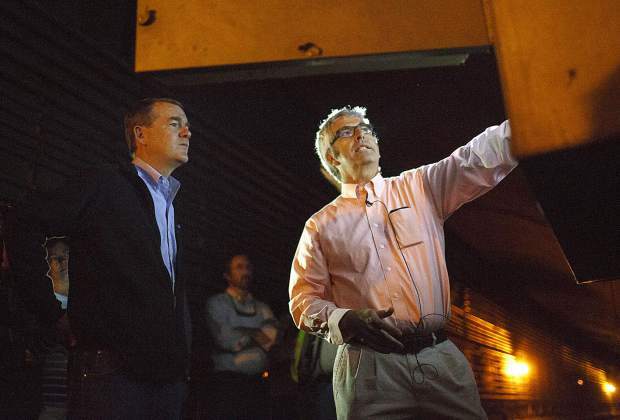 Sen. Michael Bennet, left, listens to Steve Havelson, an engineer for CDOT, while touring inside the Eisenhower Tunnel Wednesday, Aug. 23, on Loveland Pass. 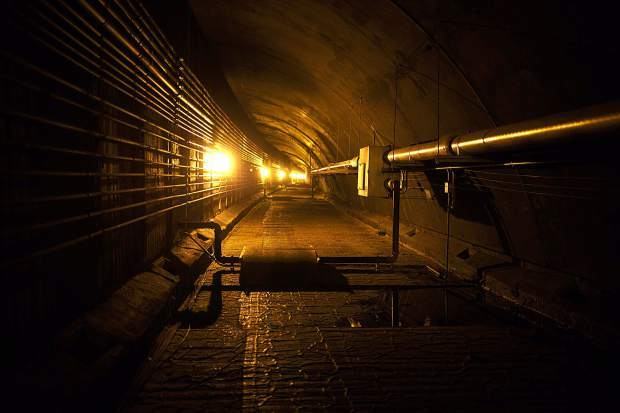 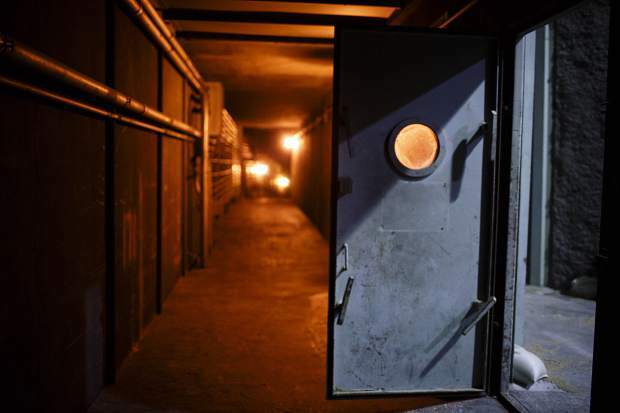 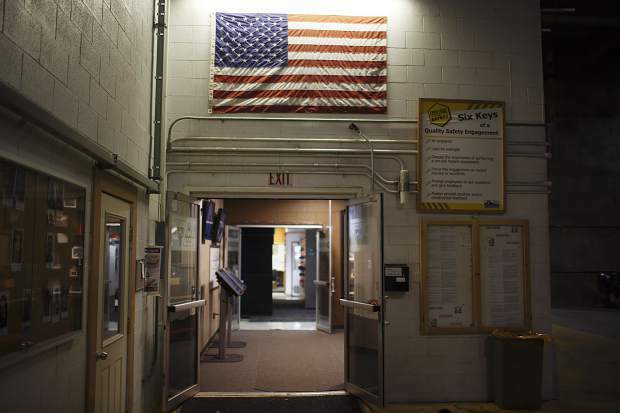 Scenes from inside the Eisenhower Tunnel Wednesday, Aug. 23, on Loveland Pass. 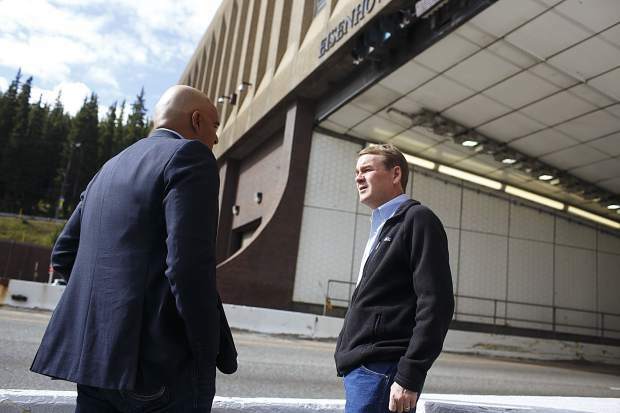 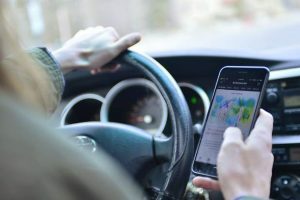 Sen. Michael Bennet, left, keeps eye on westbound I-70 traffic at a safe distance in front of the Eisenhower Tunnel with CDOT Executive Director Shailen Bhatt Wednesday, Aug. 23, on Loveland Pass. 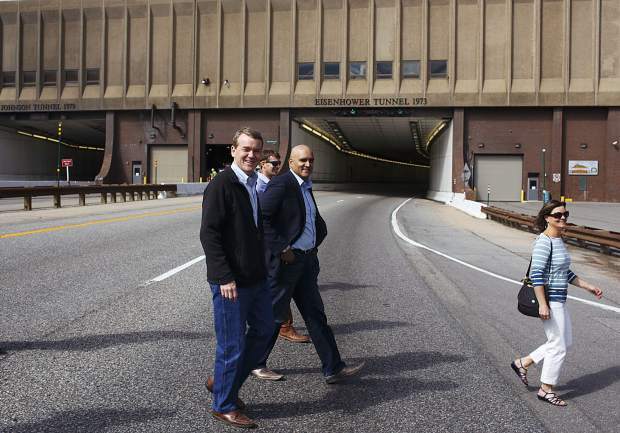 Sen. Michael Bennet, right, tours the Eisenhower Tunnel with CDOT leaders and members of the I-70 coalition Wednesday, Aug. 23, on Loveland Pass. 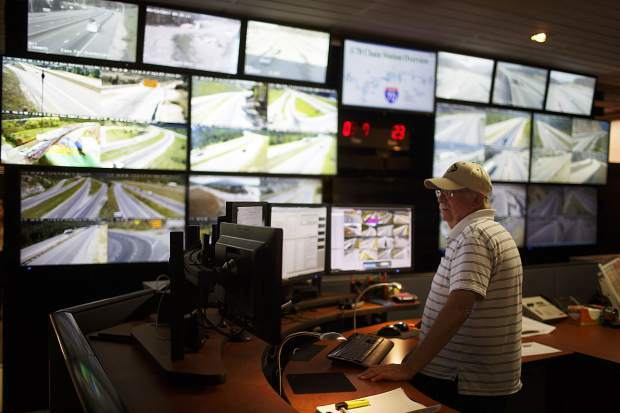 Eisenhower Tunnel operator and dispatcher David Griffith keep eyes on the monitors of passing traffic inside the control room Wednesday, Aug. 23, on Loveland Pass. 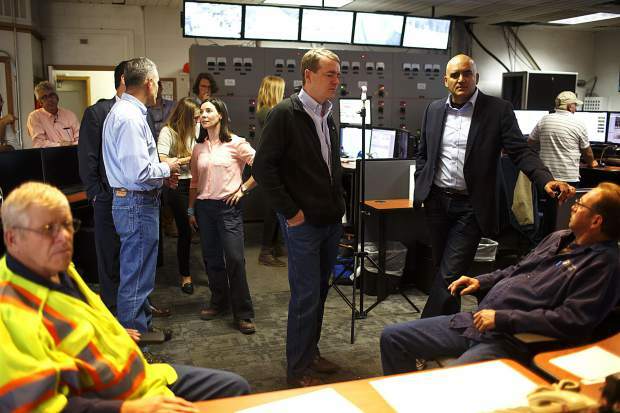 Sen. Michael Bennet chats with CDOT leaders and members of the I-70 coalition while touring inside the Eisenhower Tunnel Wednesday, Aug. 23, on Loveland Pass. 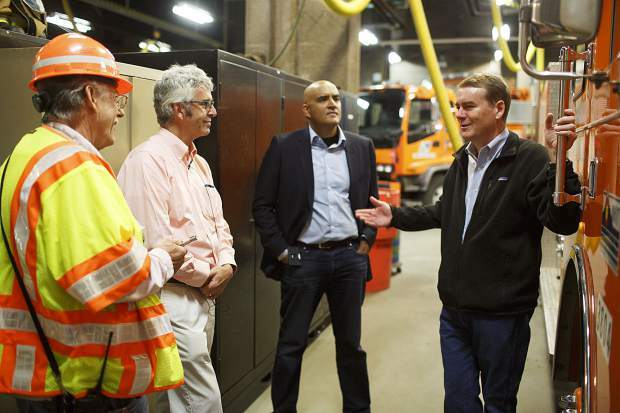 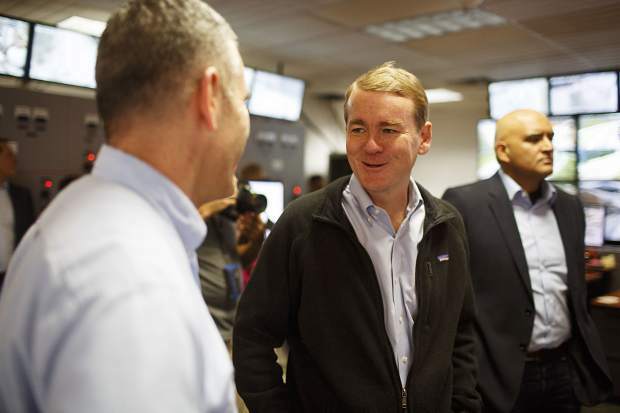 Sen. Michael Bennet, left, tours the Eisenhower Tunnel with CDOT Executive Director Shailen Bhatt, right, Wednesday, Aug. 23, on Loveland Pass, in part of the senator's visit to Colorado communities about maintaining the state's infrastructure. 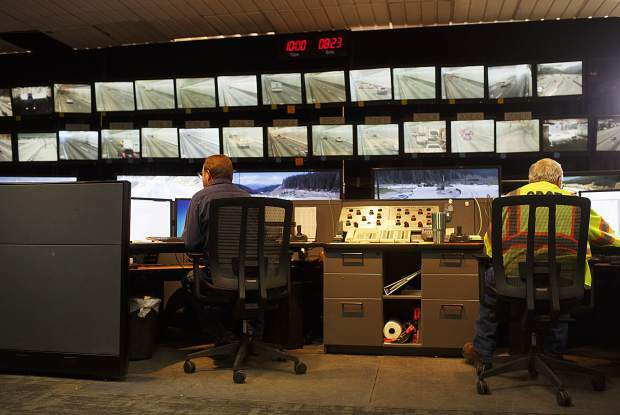 Scenes from inside the Eisenhower Tunnel's control room full of monitors of from video cameras Wednesday, Aug. 23, on Loveland Pass.